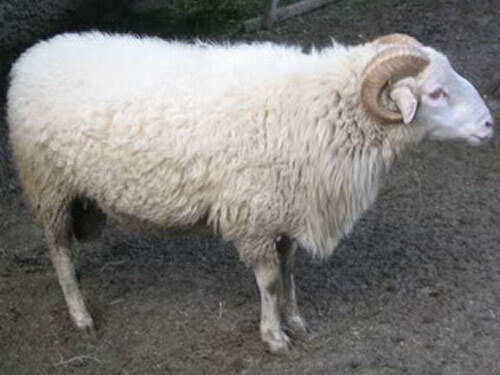 Bavarian Forest sheep are an old and once wide-spread breed from Bavaria. Unfortunately they are decreasing in popularity. They are a small to medium sized sheep. They are mostly white, though brown and black animals do occur. Their fleece contains a mixture of fibers: kemp, hetero type, and wool fibers. Forest sheep are aseasonal: they usually lamb 3 times in 2 years. Their fertility amounts to about 180 percent. They are a hardy, weather and disease-resistant breed. They have good mothering ability.